Herbert Spencer was a noted English philosopher, sociologist, biologist, anthropologist and a political theorist. Check out this biography to know about his childhood, family life, achievements and other facts about his life. Herbert Spencer, a leading figure in the intellectual revolution of the nineteenth century England, was a noted philosopher, sociologist, biologist, anthropologist and a political theorist. Born to a nonconformist father, he was educated at home first by his father and then by his uncle in mathematics and science. Later he acquired his vast knowledge as much through personal reading as from conversations with his friends. 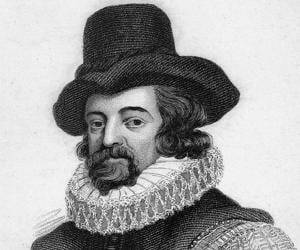 He was an early advocate of the theory of evolution, coining the famous phrase, ‘Survival of the Fittest’. He believed that the principles of evolution, including the theory of the natural selection, apply as much to the human societies as to individual beings and other biological species. He also advocated the supremacy of individual over society and science over religion. However, he believed that individualism would come into effect only after a socialist era and subsequent war. Though himself a liberal, he feared that in coming days liberalism will give rise to a new kind of despotism, far worse than any despot of the past. 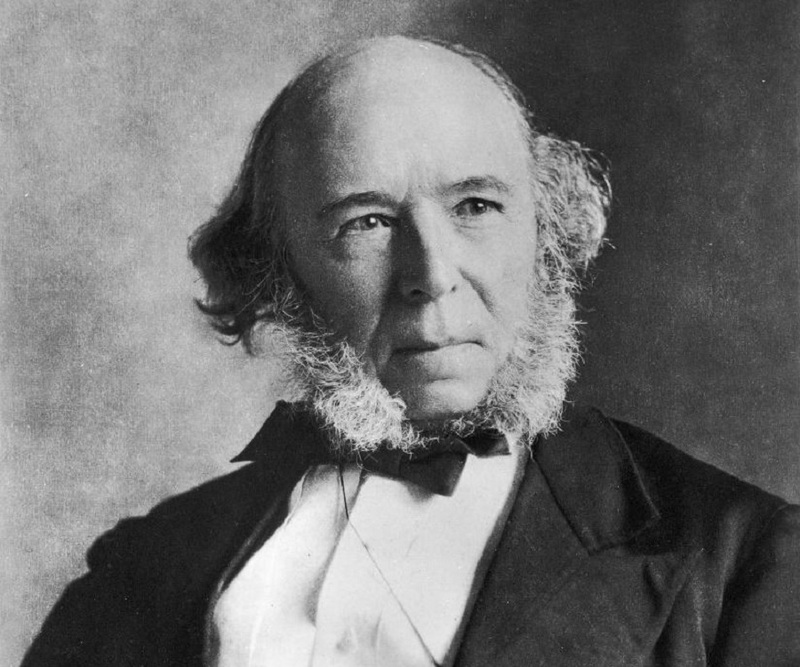 Herbert Spencer was born on 27 April 1820 in Derby, a country town located in English Midlands. 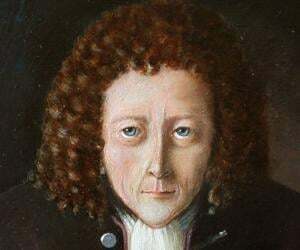 His father, William George Spencer, was an educator, teaching astronomy, physics, and other mathematical subjects first as a schoolmaster and then as private tutor. 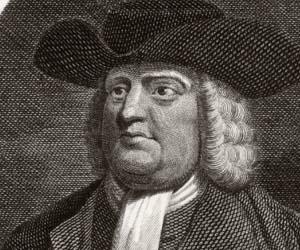 Born Methodist, he later drifted to Quakerism. George Spencer and his wife Harriet had nine children, of which Herbert was the eldest. He was also the only child to survive infancy. Because of his ill health, he was never sent to school, but studied at home with his father, who mainly taught him the empirical sciences. As a child, Herbert was very intelligent. Influenced by his father’s individualistic, anti-establishment and anti-clerical views, he also developed resistance to authority and an argumentative attitude. At the same time, he was open to new ideas and imbibed a lot through conversations. As he turned thirteen, he was sent to live with his paternal uncle Reverend Thomas Spencer, with whom he studied physics and mathematics. Traditional subjects like history and classics were largely neglected though his uncle taught him the basics of Latin, enabling him to translate easy texts. During this period, he was strongly influenced by the Benthamite ideas, held by his uncle. He found merit in the view that the greatest happiness for the greatest number of people should be the goal. Sometime afterwards, Reverend Spencer offered to send him to study at Cambridge. However, Herbert did not think he was qualified enough for that. Instead, he started teaching at a school but after a few months, left it to join a railroad company. One day, while working on the railway track, Spencer found a few pieces of fossils. 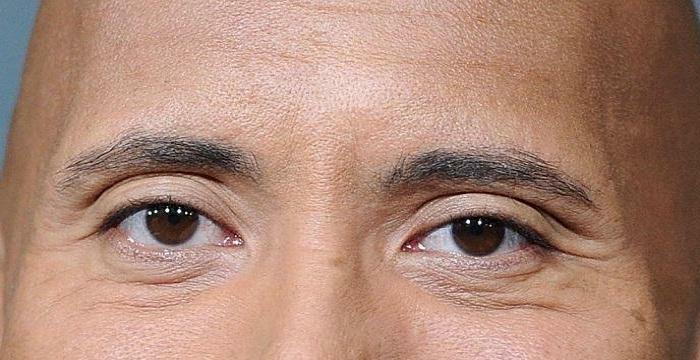 It intrigued his interest in geology and paleontology. To learn more about the subject, he now obtained a copy of ‘Principles of Geology’, written by Charles Lyell and began to read it. 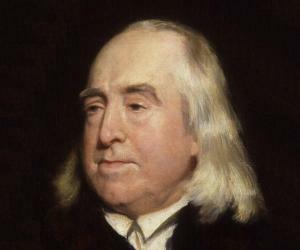 Long ago, while he was living in Derby, he had been introduced to the concept of biological evolution held by Erasmus Darwin and Jean-Baptiste Lamarck, which stated that the human race has evolved from lower species. But Lyell had devoted a complete chapter refuting Lamarck’s theory. It left Spencer wondering. In 1848, Herbert Spencer left the railroad job to become a subeditor at ‘The Economist’, a position he held until 1853. Meanwhile in 1851, he had his first book, ‘Social Statics, or The Conditions Essential to Happiness Specified, and the First of them Developed’, published by John Chapman. Impressed by the young man’s intellect, Chapman invited Spencer to his salon. Here he met an array of intellectuals like Mary Ann Evans (George Elliot), George Henry Lewes, Thomas Henry Huxley, Harriet Martineau and John Stuart Mill. Also in 1851, he was asked to review ‘Principles of Physiology’ by B. Carpenter. Going through the book, he came across von Baer’s formula, which showed how every plant and animal evolved from a homogeneous existence into a more heterogeneous one. It left a deep imprint on his mind. In 1852, Spencer published his famous essay ‘The Developmental Hypothesis’ in ‘Leader.’ In it, he clearly elaborated his concept of organic evolution, continuing to work in that direction for a few more years. 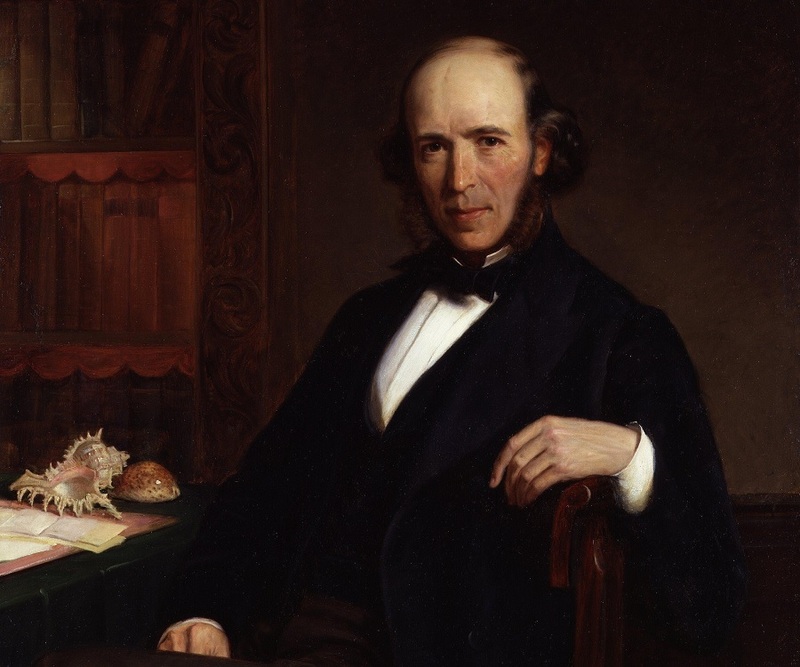 In 1853, Herbert Spencer received his uncle’s legacy and became financially independent. Therefore, he quit his job to devote more time to his intellectual pursuits. From 1854 to 1859, he published a series of essays on education, which were later collected in book form. In 1855, Spencer published the first part of ‘The Principles of Psychology’. Through this work, he tried to establish that human mind was subject to natural law inherent in human nature and could be discovered within the framework of human biology. ‘Progress: Its Law and Cause’, an essay published in 1857, was another of his major works. Extending the idea of evolution not only to the human society, but also to the animal as well as physical world, he tried to establish that everything in nature moves from simple to complex. When in 1859, Charles Darwin’s ‘Origin of Species’ was released, Spencer received a new direction. Although he had been working on the subject for several years, he had not thought about the process of natural selection to account for organic evolution. Although a little sad that he had not thought of the idea before, Spencer began to elaborate on Darwin’s concept of natural selection. At the same time, he continued to work on other issues and in 1861 published the collection of his essays on education as ‘Education: Intellectual, Moral, and Physical’. This was also the time when he started on his most comprehensive work ‘The Synthetic Philosophy’. The first volume, titled ‘First Principles’ was published in 1862. In it, he dealt with the principles of evolution in great length. The second volume, titled ‘Principles of Biology’, was published in 1864. In this book, he talked about his notion of ‘Survival of the Fittest’; a term that was later adopted by Darwin himself. It was later adopted as a textbook at Oxford. By the end of the decade, Spencer had begun to be considered one of the most revered intellectuals and philosophers of England and was widely read. His books were translated in various languages and he was able to support himself solely on the earnings from his writings. His ‘Study of Sociology’, published in 1873, became very popular in the USA and aroused great interest in the subject. Also from 1873, he began writing a series of articles called ‘Descriptive Sociology’ as the ground work of ‘The Principles of Sociology’, which would make the third and final volume of ‘The Synthetic Philosophy’. Although initially meant only as groundwork of ‘The Principles of Sociology’, Spencer started publishing ‘Descriptive Sociology’ separately from 1873. In 1881, after publication of eight volumes, the project had to be abandoned due to lack of funds; but he never gave it up. He left provision in his will for it to be completed after his death. In 1896, he had his last major work, ‘The Principles of Sociology’ published. Thereafter, till his death in 1903, he continued to work, devoting himself mainly to controversial topics. Towards the end, when he could no longer write, he began dictating. ‘The Man Versus the State’, published in 1884, is said to be Herbert Spencer’s most famous work. It was created out of a number of articles published in ‘The Contemporary Review.’ The work is divided into four main chapters; ‘The New Toryism’, ‘The Coming Slavery’, ‘The Sins of Legislators’ and ‘The Great Political Superstition’. In this book, Spencer foresaw corruption creeping into the liberal ideology. He believed that the same liberalism, which freed the world from slavery and feudalism, would one day create new despots, which would be far worse than the old. In 1902, just before his death, Herbert Spencer was nominated for the Nobel Prize for literature. Herbert Spencer did not marry. Although there was a rumor that he was romantically inclined to Mary Ann Evans (George Elliot), he had denied that in his autobiography, which was published posthumously in 1904. From his childhood, he was never very healthy. From 1855, he developed hypochondria, a mental ailment that remained with him throughout his life. He perpetually complained of pain and illness. The last decade of his life had been very lonely. Many of his friends had died and his readership began to decline. Always an opponent of imperialism, his scathing attack of the Second Boer War also contributed to his unpopularity. Herbert Spencer died on 8 December 1903 due to poor health. He was then 83 years old. His ashes remain interred in the London's Highgate Cemetery near Karl Marx’s grave. Over generations, his works had influenced many great thinkers. Some among them were Charles Darwin, Henry Sidgwick, William Graham Sumner, Murray Rothbard, Émile Durkheim, Henri Bergson, Charles Sanders Peirce, Auberon Herbert, Yan Fu, and Jack London. 'Survival of the Fittest', the phrase he coined in 1864, continues to intrigue thinkers around the world. Spencer is probably the only philosopher in the world whose works had sold in millions in his lifetime only.